I haven’t written much this week, on account of falling into a massive Fallout 4-sized hole (crater) in the ground. We’ll have that review Monday morning, but for now: Watch as I try to cover the entire week’s news in one go. Luckily it was a pretty slow week—aside from BlizzCon and that crazy Warcraft movie trailer. InXile announced this week that Torment: Tides of Numenera (a.k.a. sort of the Planescape: Torment spiritual successor) is officially delayed until next year, though to be honest I think we all had sort of guessed that already. There hasn’t been much news about Torment in a while, and a beta test is supposed to happen before launch. And 2015 is basically over and done with. Better luck next year. 2K’s hero-driven shooter Battleborn also got pushed back a bit, from February to May of 2016. The Witcher is headed for film. Well, technically it’s headed for film “again” since there was already a movie made in 2001, but I’d warrant more people outside Poland know about Geralt this time around. Who took over EA’s body? Is this real life? It can’t be. EA subsidiary Ghost Games says it will not be selling DLC for its latest Need for Speed (coming to PC in early 2016). Let me repeat: Electronic Arts is not selling DLC in one of its games. Sounds like CD Projekt Red’s evangelizing rubbed off on someone else. Who took over Activision’s body? Call of Duty: Black Ops III is getting mod tools on the PC. Seriously. And community maps. Seriously. Like, you won’t need to pay for maps. You will have an infinite supply of community-made content. Seriously. Obviously the mod tools didn’t launch alongside the game yesterday, but Treyarch says they’re coming—closed alpha in March, 2016, with official release sometime after. This is one hell of a weird week for people who usually rant against DLC. Ahead of its launch on November 19, Ubisoft’s revealed the Minimum and Recommended Specs for Assassin’s Creed Syndicate. They’re recommending you pack at least 3GB of VRAM for an optimal experience. Also 50GB of storage. Hopefully it plays better than last year. 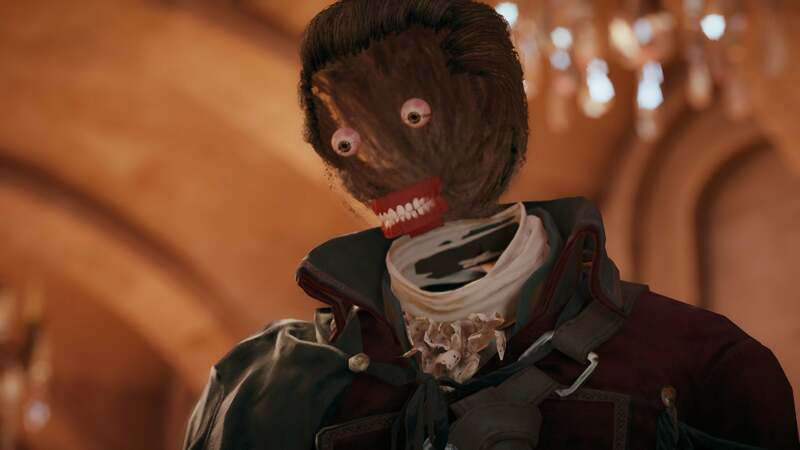 Hey, remember Assassin’s Creed Unity’s weird face glitches? Yeah, good times. Happy weekend, everyone. I’ll see you back here Monday morning with that Fallout 4 review.